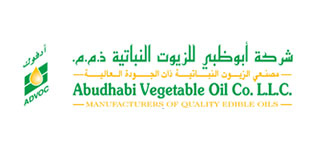 Our success in FMCG distribution can be attributed to a deep understanding of the Qatar market and trade customer requirements, a well-developed warehousing and distribution capability, an experienced and dedicated team of professional staff and strong partnerships with internationally acclaimed brands. Our relationship with Unilever (since 1959) and FrieslandCampina (1980's) for example reflects the trust that our partners have in our ability to provide a professional sales, marketing and distribution service in Qatar. We regularly add new agencies and products to our existing portfolio and will continue to forge ties with new suppliers whose products complement our areas of business focus. More.. The General Products Division (General Portfolio) distributes consumer food and non-food products from FrieslandCampania (Rainbow milk) and SC Johnson. Other products such as rice, cooking oil and paper products are also distributed. This is an expanding portfolio and we continually add to these products by bringing in well-recognised national brands that find favour within the population-diversity of Qatar. More..